Sometimes I want a sweet baked treat but I don’t know what it is specifically. A cookie? Cake maybe? Often a flavor or texture or both might pop into my mind and soon clarity sets in. A few days ago I found myself in this pleasant quandary when I suddenly remembered a brownie recipe I hadn’t baked for 35 years: Greenwich Village Brownies from Maida Heatter’s Book of Great Cookies (Knopf, 1977). The recipe makes a huge panful of thick, fudgy brownies with caramel overtones, and that was my starting point. 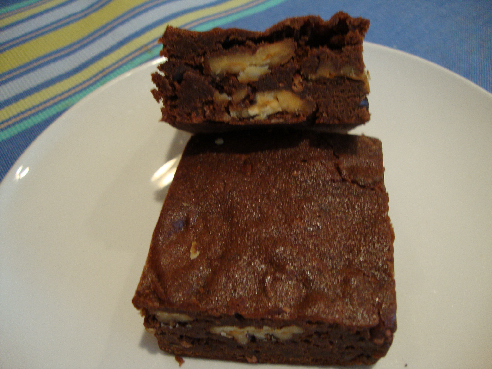 I decided to cut the recipe in half because it has nuts, and my wife does not like brownies with nuts. And I didn’t want a huge batch of brownies staring me in the face to tempt me every time I walked by. I tweaked the recipe by ramping up the chocolate, adding a tad of instant coffee, a bit more vanilla, and substituting agave syrup for light corn syrup to give the brownies a hint of toffee. Success! 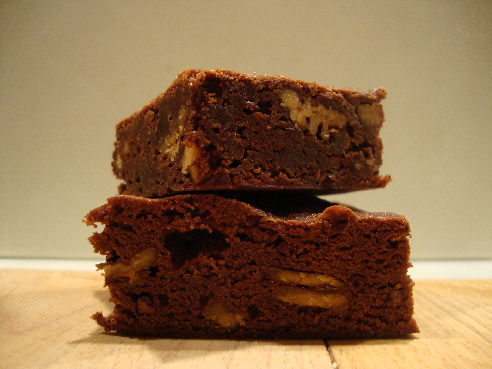 These brownies are thick, fudgy, and chewy. They cut more easily when cold, so allow ample time for cooling and a 1 to 2 hour stint in the refrigerator. 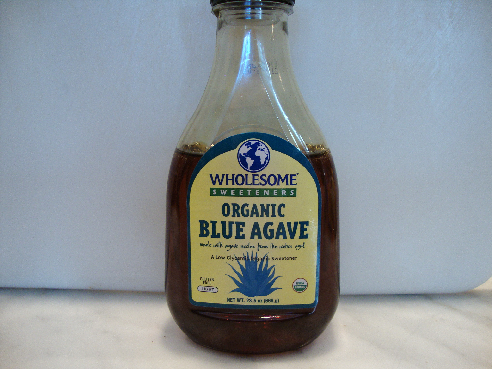 Agave syrup adds lovely caramel notes to the brownies. Lyle’s golden syrup does the same, so substitute that if you wish. Preheat the oven to 350 degrees with the rack in the center position. Put the pecans on a rimmed baking pan and bake for 8 to10 minutes, or until the nuts are toasted and aromatic. Set aside to cool. 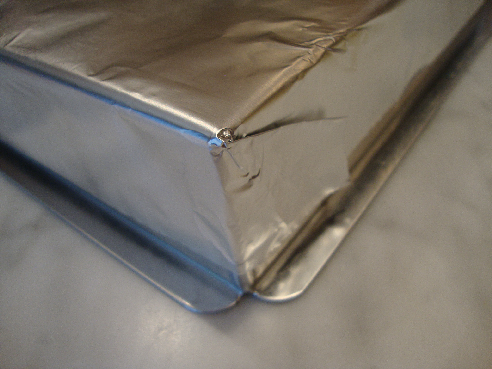 Line a 9 x 9 x 2-inch baking pan with foil as follows: Turn the pan upside down and center a 12-inch square of aluminum foil on the pan bottom. 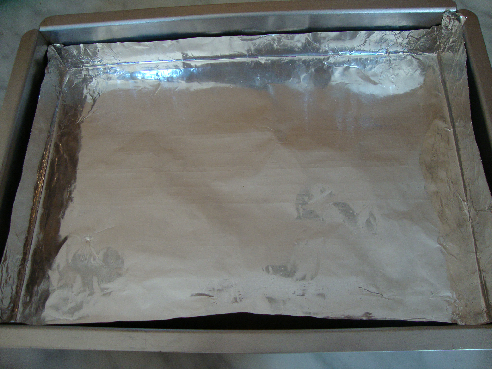 Fold the sides of the foil down along the sides of the pan and neaten the edges. Remove the foil pan and fit it into the baking pan, nudging it in carefully and snugly. Coat the foil liner with cooking spray. Break or chop both chocolates into medium-size pieces and put them into a small saucepan. Set a 10-inch skillet with an inch of water over medium heat. When the water is hot, place the pan with chocolate into the water. Adjust heat so that water is just below the simmer. Wait a minute or two, then stir occasionally with a small heatproof rubber spatula until the chocolate is melted and smooth. Be careful not to let any water come in contact with the chocolate or it will seize up. Remove the pan from the water. 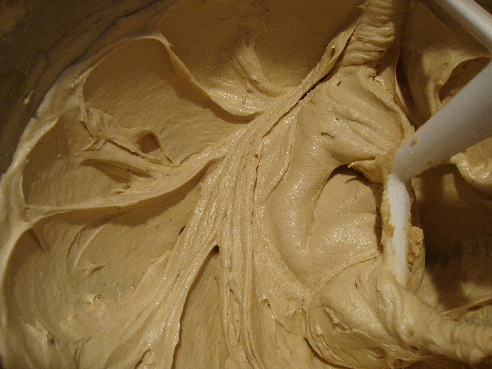 Beat the butter with an electric mixer on medium speed until smooth. Add the vanilla, salt, instant espresso, and brown sugar. Beat on low to incorporate the ingredients, then beat on medium-high for 1 minute. 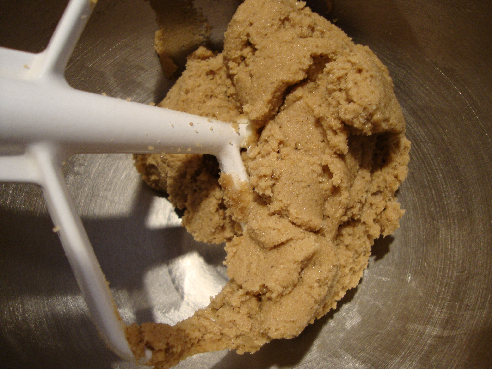 While beating on low speed, gradually add the granulated sugar, taking about a minute to add it all. Scrape the bowl and beater and beat on medium speed for 4 minutes. The butter and sugar will look pasty. Beat in the agave syrup. When smooth, add the eggs one at a time, beating on medium speed until smooth after each. On low speed add the melted chocolate. Scrape the bowl and beater. Stir in the flour with a rubber spatula until thoroughly incorporated, then add the chocolate chips and nuts. Scrape the very thick batter into the prepared pan and spread level with an off-set metal spatula. Bake 25 to 30 minutes, until a toothpick inserted into the center comes out with a few moist crumbs sticking to it. Cool completely on a wire rack, then refrigerate for 1 to 2 hours or longer until the brownie is firm. 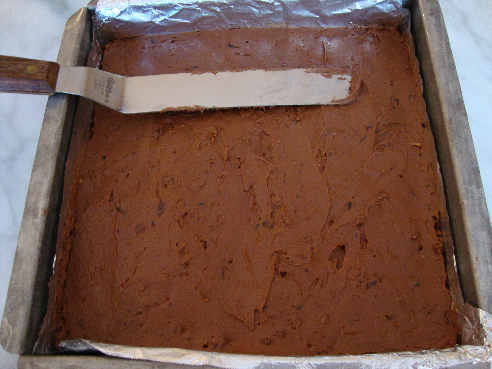 Lift the brownie out of the pan grasping edges of the foil liner. Peel back the liner to free the brownie completely. Cut into squares with a large sharp knife. To store, wrap individually in cellophane or plastic wrap. The brownies are delicious cold.